One of my favourite people in the world is getting married. And, despite the wedding taking place on Halloween, she doesn't want to do it in fancy dress. Which is a crying shame, because she once wore an actual carved pumpkin on her head, which shows creativity and dedication that would only prosper at a wedding. All of this means there's a wedding dress hunt on. Which is great, because if I know anything in this world, it's where, when and how often champagne is served. 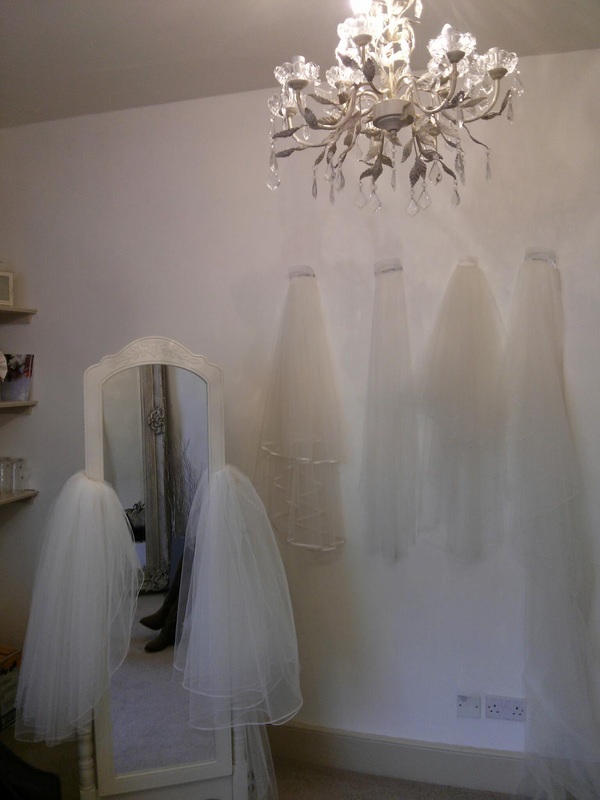 Wedding dress fittings are up there at the top of the list. I did wuss out at the first shop. We were offered a glass, but it was 10am, and I couldn't bring myself to do it. Actually, that's a lie. If anyone else had said yes, I would have been with them like a shot. But there's nothing like drinking alone in the morning to get people talking, so I had a coffee instead. Which I drank while standing as far away from the dresses as possible, quietly muttering pleas to God that I wouldn't spill a drop. The White Room is in the pretty village of Minchinhampton. 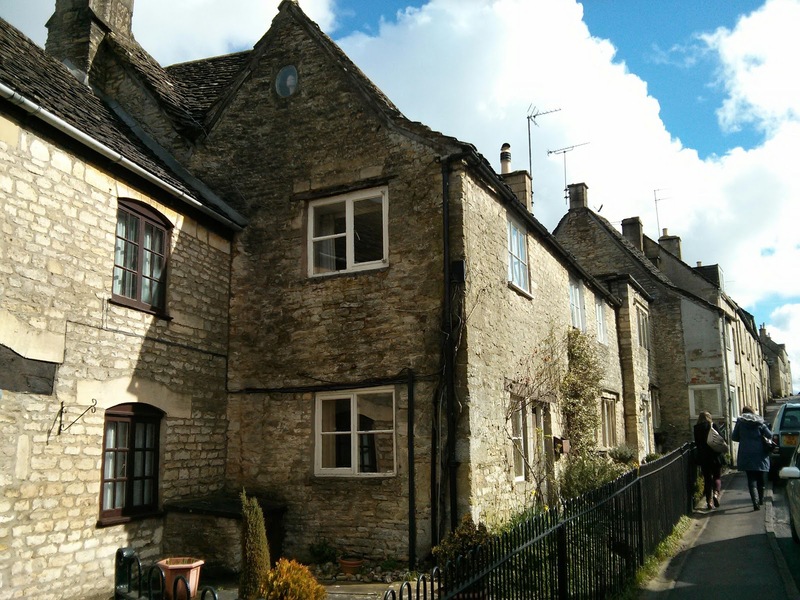 Like a lot of villages in the Cotswolds, it reminds me of Godric's Hollow from Harry Potter. Which is often why I like them so much. 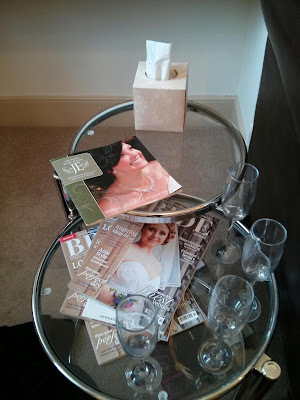 The White Room has a bit of celebrity because it's where Zara Phillips got her wedding dress. Actually, the designer she went for, Stewart Parvin, also designed the dress which is currently at the top of the wishlist for my friend. But obviously, I won't be showing it here. It's a gorgeous shop. Plenty of room for fittings, in a beautiful light space with wooden beams and chaise lounges. The woman who we dealt with was lovely and knowledgeable, and the dresses were divine. However, the prices did reflect that. If you can't afford a dress there, give it a miss. It's just torture to even look. I would say onwards and upwards, but the next shop we went to was Godawful. Really, really bad. They didn't have our appointment reservation, there was no room for trying things on, and the dresses were terrible. After 20 minutes, we skipped out for lunch. As I was gagging for the champagne I'd skipped earlier on, we shared a bottle of Prosecco at La Scala, along with some gorgeous paninis. We had planned to visit five shops in the day, but had realised in the White Room how unlikely that was. 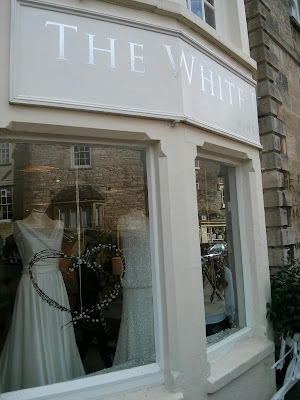 Three was our limit, so we headed to the Cotswold Bride. I think we were all losing steam at this stage. Especially because more champagne was produced. Opinions were getting a little too honest, and veils were becoming a lot more hilarious. I would love to tell you that it was here we found the amazing dress, the one that makes everyone cry when the bride walks in the room. But, alas, that didn't happen. Either TV has lied to me, or we haven't found the right dress yet. But it's far from over. For as long as there is a room with champagne within, I will hunt it down, and make my friend try on every dress they have until the bottle is empty.